Jennifer came highly recommended and we were not disappointed. We had independently searched the area via the internet prior to arriving but Jennifer still insisted on meeting with us in her office in the morning. She inquired what we were looking for, likes, dislikes and budget. Jennifer spent the rest of the day tirelessly showing us selected properties and was Knowledgeable about each one. At the end of the day there was no pressure to make a selection and we returned to Connecticut. Jennifer continued to work with us over the phone and via emails, always quickly responding and sometimes making special trips to properties to get additional pictures for us. Offers were discussed and she negotiated on our behalf. Jennifer took care of even the smallest of details and advised us wisely. if i had to choose one word to describe our experience working with Jennifer it would be AWESOME! 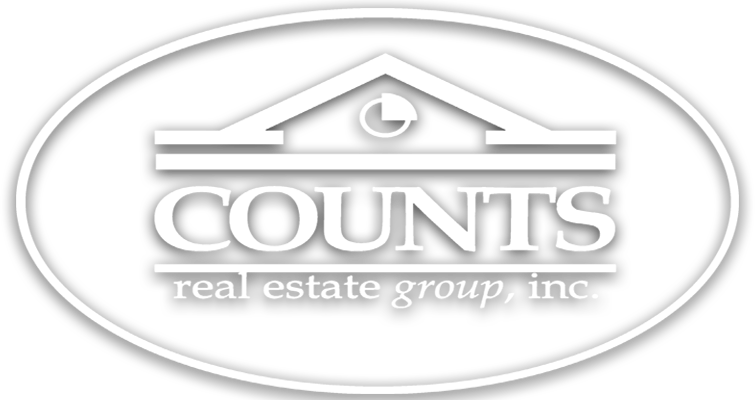 We highly recommend using Jennifer's services if you are considering purchasing real estate in Bay County Florida area. Just wanted to say a quick thank you for all of your help. Even from a distance you were able to keep everything running smoothly. Your communication was perfect and I appreciate you being available around my crazy schedule. I couldn't have done it without your sound advice and direction. Most people would have snapped at the games my bank was playing but your persevered and made it happen. I can't wait to get my house built out there. You will definitely have to join us when we have have our first party at the new house. She asked not only price, location and what I wanted in a home, but got to know ME so she had a true insight on my likes and dislikes. She is the BEST by far!. She knew exactly what I wanted, about my family and my pricepoint. She knew my likes and dislikes in condos also. When she picked me up on Saturday morning she was just like family. We headed out, different areas of town, different price points and she said she knew by the look on my face when she opened the door and I saw the "Home" that was for me. We made an offer right there on the spot. 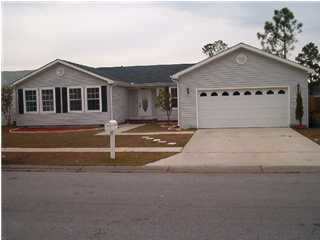 If you are a serious "Buyer" in the Panama City Beach area, please get in touch with Jennifer MacKay. She is the "BEST" and will work hard to get your your "PERFECT PLACE". Please DO NOT look around for the right agent. This is HER!!! You will NOT go wrong. Not only will she help you until the contract is final and you are the new Homeowner but is will be there for you thru any other questions or problems that may come up. Please call HER TODAY if you are looking for the PERFECT agent that really cares. Go Jennifer. Thank you so very much. I would highly recommend the Panama City Realty Group to anyone in the market to either purchase or sell a home.They went above and beyond helping our family find and purchase the right house. They kept us updated on all developments and answered all of our questions. I would not hesitate to obtain their services once again. Outstanding performance. The Panama City Realty Group is nothing short of Amazing. We first met online, through the PanamaCityRealtyGroup.com website. We are a military family of 4 and a dog; and had received orders to move to Panama City, FL. We contacted The Panama City Realty Group in hopes of finding our first home in a safe neighborhood, being that we were stationed in Italy and in the market for a serious purchase. We expressed our greatest trust in her judgment, and she found us a 3 bed 2 bath home with a two car garage in a one of the best neighborhoods in the area. Her references for financing were very pleasant and all involved with the purchase cooperated on the expedition of paperwork to close on the house on time, while I and my family were overseas. 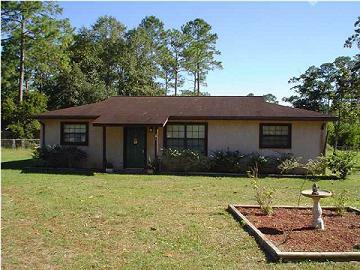 One more thing that shows The Panama City Realty Group is willing to go over and beyond is that they accepted the responsibility of special power of attorney to have the water for our new home turned on, so that on our day of Arrival back to the United States after 8 years would be a smooth transition. After narrowing our search to Panama City Beach, we explored the internet and found Jennifer Mackay of Keller Williams Success Realty. Our expectations of a realtor were someone who would work for us on our time table and give 100 percent of their time to help make the right choices. Hey The Panama City Realty Group YOU ARE THE BEST! I have been purchasing property for years and have never had a great team like everyone on this email. You guys have worked with me so hard to get to this stage and I appreciate all the effort. I will definitely come back for future business and will recommend to all my friends everyone services. 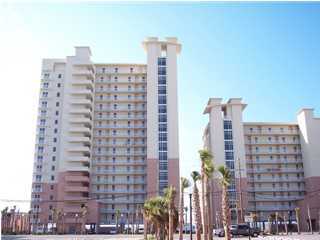 The Panama City Realty Group did a great job with this transaction. Nancy and I thank all of you for making this happen. We can’t wait to come down in the summer to enjoy. Just wanted to drop you a note expressing how nice it was to talk to you today. You were always so friendly and professional with my husband and myself. in Bay Point and how many other homes we looked at in a very short period of time. always seemed happy to accommodate us. My family and I would like to thank you for letting Kayla help with our transition to Florida. Kayla has gone above and beyond and has been extremely competent with everything she has done for us. Kayla responds to our questions, day or night, and always goes the extra mile to help us. I truly believe this move would have been disastrous if it wasn't for Kayla. I have moved more times than I care to remember, and this has been by far, the best transition I have ever been involved in. This is solely due to the commitment of Kayla. If Kayla is representation of all your staff, and the professional manner in which they operate, we will be lifelong customers for all our needs in Florida. Thank you again for letting Kayla assist in our move to Florida. Thank you so much for your time and help getting us the vacation home of our dreams!! We are truly greatful for all that you did for us. We are so excited about the condo. We are going down for the first time the Wednesday before Labor Day. My parents are joining us to help celebrate. That was very nice of you to get us a gift. I’ll email or call you once we get settled down there. If I hear of anyone looking for a property in your area I am happy to refer them to you. You did a great job and we are so thankful! 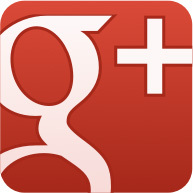 We enjoyed working with you,you were very helpful and very professional. Everything went very smooth. We hope to see you when we get down there to Panama City Beach, so drop by and see the house after we get moved in, we would like that very much. Carl and Joyce's situation is one of my favorites. When Joyce contacted me, her introduction to me was "I feel I know you already, I've been on your website for over a year". Now that says something about the quality of my customers and my website. Carl and Joyce, it was a pleasure working for you both and I look forward to assisting you and your friends in the future. Best of luck in your new home. We thank you again for all your help and patience in finding the right condo. I do believe we got a good deal and John is glad we purchased in Panama City Beach. John and Andrea found me through a search and were impressed with not only my search engine rankings, quality and content of my website but also my response time and willingness to show them property during a holiday weekend. Here is a picture of the Grandview where they purchased their 3 bedroon 2 bath waterfront family vacation Condominium for under $425,000. Jennifer MacKay stuck with us from beginning in Okinawa Japan to our final purchace on Feb. 1,2007 in Callaway, FL. She stayed in contact via e-mail and on the phone, I never felt that my agent was not with me and she is still there helping me find my Doctors office and answering any and all questions that I have at anytime. She is tops with me and a great friend to have in my corner. Barbara and her family contacted me through my website. They were moving to our area from Japan and were impressed with both my website content and rankings. We spoke at length about their needs, and did much of the shopping online before they arrived. 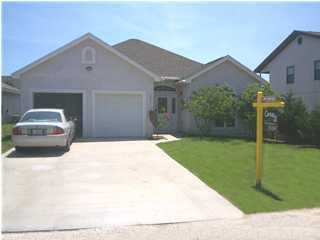 Here is a picture of the lovely 5 bedroom home I found for them in Callaway. 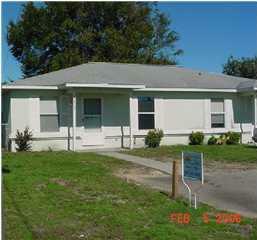 Close to Tyndall Airforce base, shopping and the beach all for under $220,000. I had been working with a few other Realtors until I met Jennifer. She not only helped find me a property in Panama City, she also helped find a financial institution to work with. Jennifer goes above and beyond the call of duty. Jennifer you're the tops. Jodi and her husband were new Real Estate investors and found me through a search on the internet. She had a few less memorable experiences with other agents in my area and was hoping to find someone they could work closely with. We met Jennifer and Jessie when we were apartment hunting. Jennifer not only helped us find our first home, but helped us understand the entire buying process and found us a mortgage company to help us. We didn't even know we could afford a home, until Jennifer helped us. Don't forget the house warming party Jennifer and Jessie, you guys are great! Ernie and Christin were first time home buyers. They originally came to rent an apartment from us and after speaking with them found out what they really wanted was to buy a home. The rest is history. 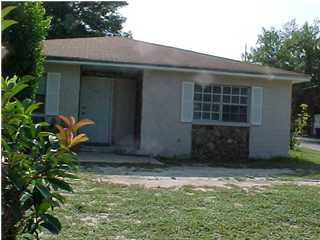 Here is a picture of their first Panama City home we found together for under $100,000. I met Jennifer when I was trying to find someone to help me sell my house. I found out my credit history was less then perfect when I applied for pre-approval. It didn't stop Jennifer though. Not only did she teach me how to fix my credit, but she listed my house, sold it and helped me buy a new one for my growing family. We found not only a Realtor in Jennifer, but a friend as well. Keep up the good work Jennifer. We'd been living in the same home for over 40 years when we met Jennifer. We had retired and wanted to find a home that not only suited our needs but would be a haven for our grand children as well. Jennifer helped sell our home and helped us buy a beautiful waterfront paradise. Our grand kids love it, and Jennifer and Jessie have become part of the family. Thanks you two, for everything. Marge and Ray contact me through my office to sell the property they had lived in for 40 years! 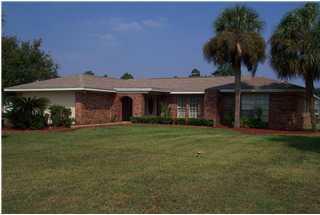 Together we found them the perfect Panama City home that fit their needs. It just so happened, that the home they purchased I was listing with another customer. This 4 bedroom 2 bath waterfront beauty became their home for under $500,000. Well what can I say Jennifer, you helped me buy my first investment property and held my hand the whole way. You not only helped to find the property, but helped to teach me how to build a Real Estate Portfolio. I am now in the process of buying my second investment property and wouldn't even think of doing it with out you. Don contacted me through a referral from the north east. He was new to real estate investing and ask for my assistance. 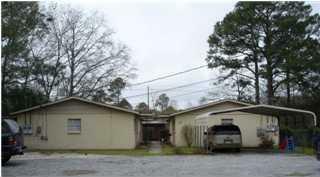 Here is one of the multi-units I helped find for his first investment in Panama City Florida Real Estate: a Triplex near Tyndall Airforce Base and close to shopping and a brand new soon to be built galleria for under $150,000. Imagine the appreciation on this property just from the new Galleria shopping plaza! I found Jennifer through her Real Estate for the Unfamiliar article and enjoyed it so much, that I sent her an email. I explained that I didn't live in Florida and she offered to help find me an agent in my area to help with selling my house and buying a smaller one. She found me a very nice agent Sue, at a local real estate office and my house is now sold and I'm ready to move to Panama City, Florida. Thanks Jennifer. Joyce was a friend of Don's (above) who also was interested in investing in Rental Property. 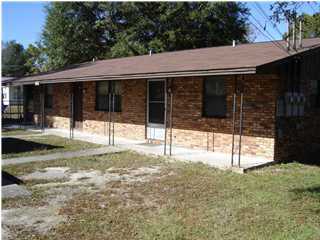 We found this great buy, 2 duplexes in Panama City for under $250,000. Not only that, but I also helped her find a new Home in Panama City Beach! And Joyces New home 3 blocks to the Beach for under $250,000!